Adding an Active Directory authentication server. First an authentication server for Active Directory must be configured. Browse to the GridGuard ACC. Click on 'Servers' to add a new authentication server. Then click on the 'Add a New Server' in the right side column. Enter an authentication server label in the Server ID. 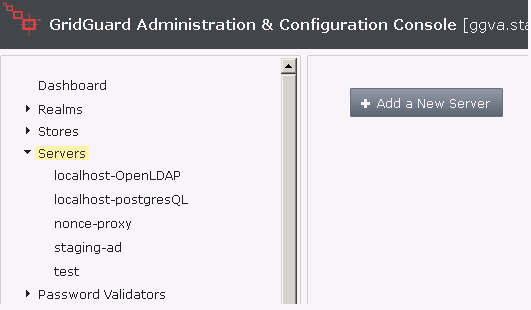 Then select the Server Type as 'LDAP'. Enter the appropriate configuration data for your Active Directory configuration. 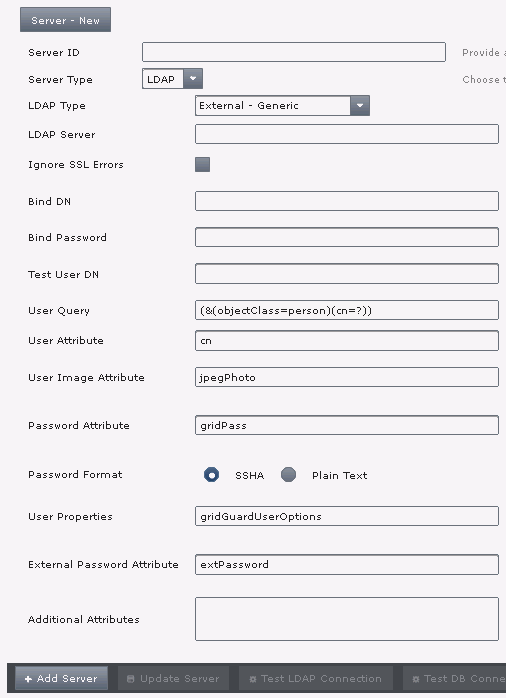 If you are using secure LDAP, make sure you have imported your trusted Root certificates in to GridGuard-VA. If you have imported the certificate yet, check the 'Ignore SSL errors' check box. Click 'Add Server'. 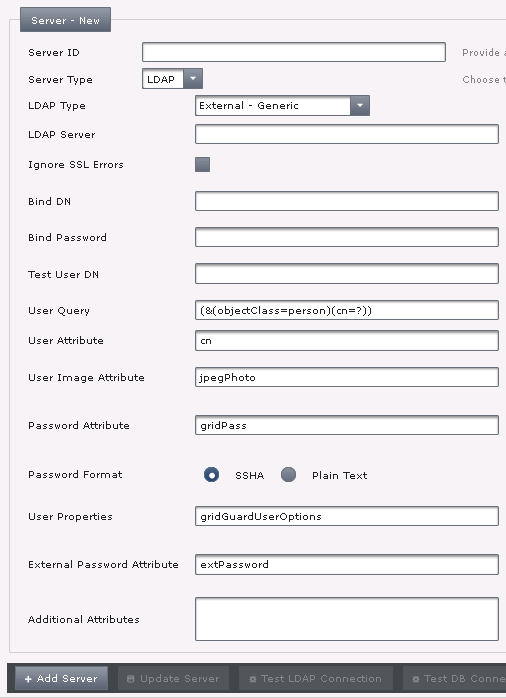 Click 'Test DB Connection' to validate the LDAP settings. Then click 'Apply Changes' to save the server to the configuration file.